Exciting. Thrilling. Amazing! The stage is set for the biggest magical spectacle this Holiday season as IMPOSSIBLE: World’s Greatest Magic Show finally arrives in Manila. 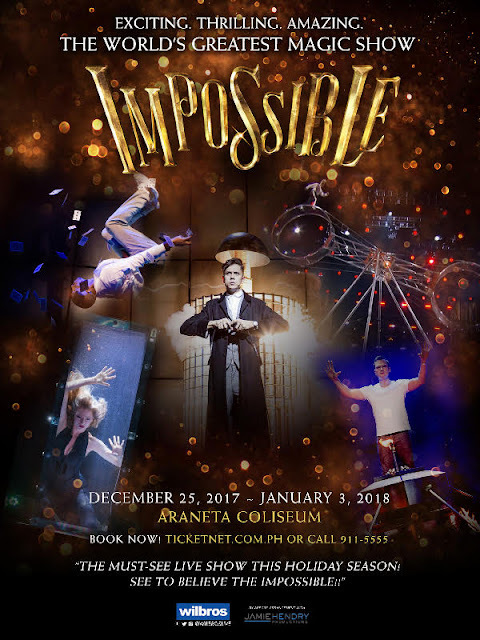 Opening on Christmas Day, December 25th to January 3rd at the Araneta Coliseum, Filipinos will finally be able to see the much-awaited magical show live on stage. Fresh from its record-breaking success in London’s West End, IMPOSSIBLE has been hailed by critics as “the Hottest Act in Town” (Daily Mail) for giving “variety, illusion and magic a brilliant, fresh spin” (The Stage). The Guardian describes IMPOSSIBLE as “a fiesta of trickery and illusion,” and "an absolute blast from start to finish!" says Hollywood News. IMPOSSIBLE features six of the world’s most mind-blowing magical acts, fusing death-defying stunts, technological trickery, grand stage illusions and close-up magic in a fast-paced breath-taking performance that reinvents the biggest illusions in history. “We were overwhelmed by the welcome that London audiences showed IMPOSSIBLE last year and hot on the heels of our success in different parts of the world. 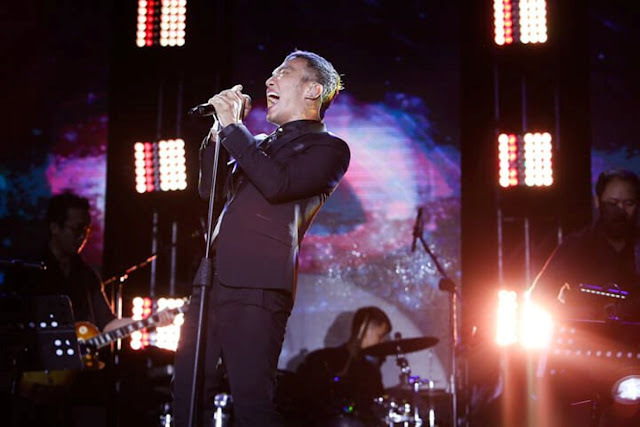 We are delighted to be bringing our spectacular World Tour now to Manila.” says Jamie Hendry (Producer). IMPOSSIBLE features Boundary-Breaking Magician Ben Hart, Explosive Street Magician Magical Bones, Mind-Blowing Mind-Reader Chris Cox, Grand Illusionist Josephine Lee, Master of Magic Ali Cook, and Comic Daredevil Bello Nock. Ben Hart and Magical Bones made the news headlines recently as they left Filipino audiences stunned with their up-close magic and sleight of hand tricks during their promo tour in Manila to announce the show. “Wilbros Live is thrilled to bring the world’s greatest magic show IMPOSSIBLE to Manila. This is a must-see live spectacular for the whole family this coming holiday season,” adds executive producer Winston Llamas of Wilbros Live. Don’t miss the much-awaited show. You have to See To Believe the IMPOSSIBLE! Tickets at affordable prices – starting at P160. For ticket reservations, visit TicketNet.com.ph or call 911-5555 for more information.